Rebel-30 112 MKII 1x12” combo is the next generation of the Rebel 30 with the features you’ve been asking for. We’ve upped the gain on channel 2 and given it a more aggressive tone and feel. Channel has even more clean headroom with a lower noise floor. Of course, we’ve kept the unique Egnater features such as the TUBE MIX knob, giving you access to an incredible variety of tones from American to British and the silent record mode that actually replaces the speaker with an internal load so all the great power tube character is retained. Channel 1 delivers rich cleans with controls for volume, treble and bass. Channel 2 dishes out powerful, touch-responsive overdrive with treble, middle and bass EQ, as well as a wide-range gain knob that takes you from growl to scream. Both channels feature Egnater’s signature BRIGHT and TIGHT switches and each channel has its own WATTS knob so you can access both low-wattage crunch and serious clean headroom, or any combination between 1 to 30 watts. Under the hood you will find the new Elite Transformers with substantially greater headroom and industrial grade red FR4 glass epoxy circuit boards with beefed up copper traces to name just a few of the improvements. 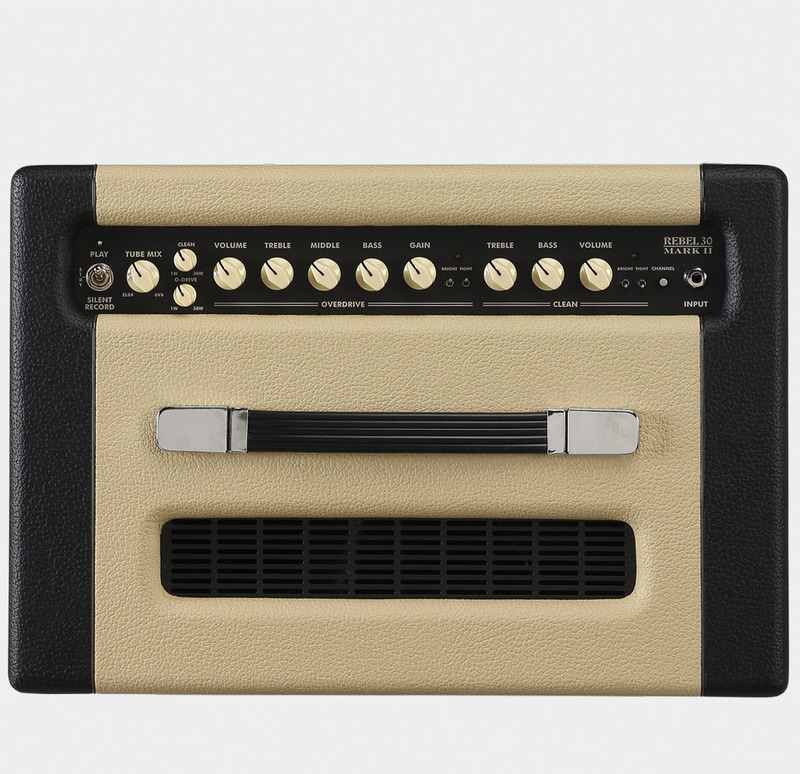 The REBEL-30 112 MARK II back panel holds more welcome surprises, such as independent REVERB controls for each channel and a tone-preserving series effects loop. The speaker-emulated line out lets you go directly to the board live or in the studio. Set the standby switch to ‘Silent Record’ for great direct-recorded tones that spare both your ears and your neighbors. A dual-function footswitch for channel selection and reverb on/off is included. 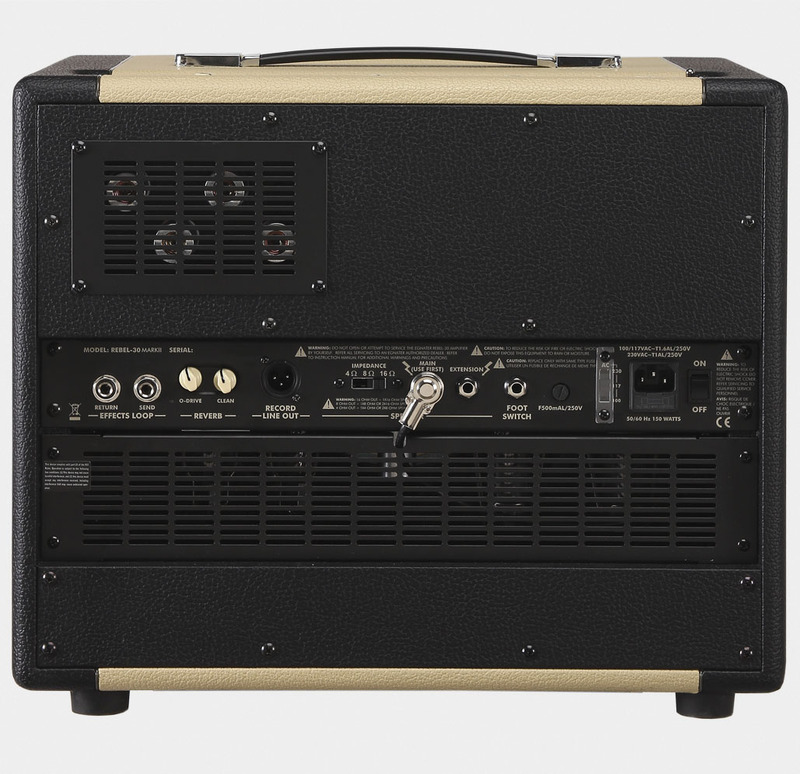 Combine the Rebel-30 Head with a pair of Rebel-112x cabs for a perfect mini-stack. TUBE MIX lets you dial in the rich American tones of the 6V6 power tubes, the British-style bark and chime of the EL84s, or to blend them for an endless variety of sounds. The scalable WATTS control on each channel of the REBEL-30 112 MARK II varies from 1W to 30W, so you can dial in rich, responsive tube tone at any volume level. Vary the wattage easily go from the studio to the stage. Egnater’s innovative and natural sounding direct record output delivers every ounce of Rebel-30 112 Mark II all-tube tone without the need of a microphone or speaker. The balanced XLR output is wired after the power amp so every control including the tube mix, wattage control, plus tight and bright switches are always engaged. Use this XLR output to replace microphones during live stage use or set to Silent mode and record at full power in your bedroom or studio without waking up the neighbors.